This month Ian Househam interviewed David Mongoato who farms on Hanover in the Matatiele District. David is not only dedicated and hard working, but is passionate and loves farming. He hopes to be a commercial farmer in the near future. I farm on Hanover in the Matatiele District, in the Eastern Cape Province. I farm on 940 hectares of land, 600 hectares is for grazing and the rest is arable land. I farm with 200 hectares of maize, 50 hectares is under cultivated pastures, of which 13 hectares is lucerne as well as Eragrostis grass. I also have cattle and sheep and currently I am growing my piggery, where my wife is fully involved. My aim is to have 100 breeding sows in two years time. What motivates and inspires me the most is seeing the results of my work growing gradually every year. Strengths: My strength is my hard work and passion. I farm because I love it but I am also treating farming as a business and not a hobby. Weakness: My weakness is a lack of funding and this is hindering me to grow my business as I would like it to. According to the potential of my farm, I am currently underutilising it, especially when it comes to livestock. When I started farming my crop yield was between 3,4 t/ha to 4 t/ha. My yield is now between 6 t/ha to 7 t/ha on dry land. The main contributor to my success is my dedication and hard work as I still regard myself as one of the employees at Hanover farm and not as the employer. Business Ethics as well as many other courses. I am also bettering myself by attending short courses presented at Cedara Collage. I would like to do an Irrigation course as I currently have 60 hectares under pivot irrigation. I would also like to receive training to become computer literate. In five years time I would like to see myself as a fully fledged commercial farmer, farming with different commodities. My focus will be to slaughter and process pork products on the farm and not only supply the market with piglets. My advice to other farmers is to encourage them to continue living on the farms and not to leave. They must take farming seriously and see it as a business and not a hobby. 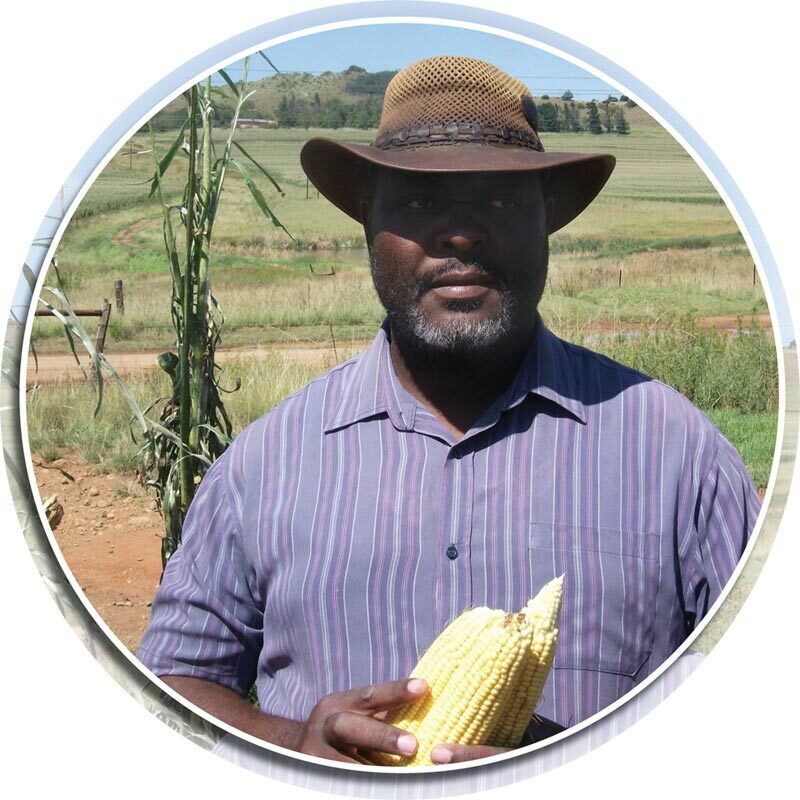 Article submitted by Ian Househam, Development Co-ordinator of the Grain SA Farmer Development Programme, Kokstad. For more information, send an email to ian@grainsa.co.za.